Pretty Green 'Denescroft' Men's Retro 1970s style suede Western Jacket in tan. Benefitting from a classic Mod knit point collar that is exquisitely tipped in tan suede to create a unique textured look. The subtle contrast Western yoke and stitched on pleat details (to front and reverse) add to the Vintage 1970s look and the darker sleeve construction is a homage to old skool Retro Americana and Varsity styling. Finished with concealed zip fastening and side pockets. Subtle signature snap fasten cuffs and Pretty Green woven tab to the hem. Hints of Easy Rider road movie nostalgia with that late 1960s, early 1970s vibe. 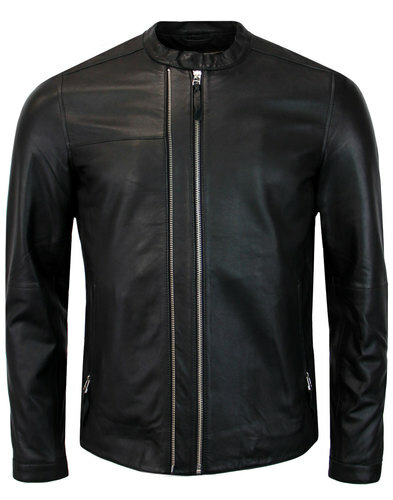 The Pretty Green 'Denescroft' suede jacket is perfect for Retro Ride out's on Route 66! ... or you might prefer a 1970s style urban strut through the cooler climes of your favourite UK city! Either way, the Pretty Green 'Denescroft' Men's suede jacket is geared up to make you the king of cool! 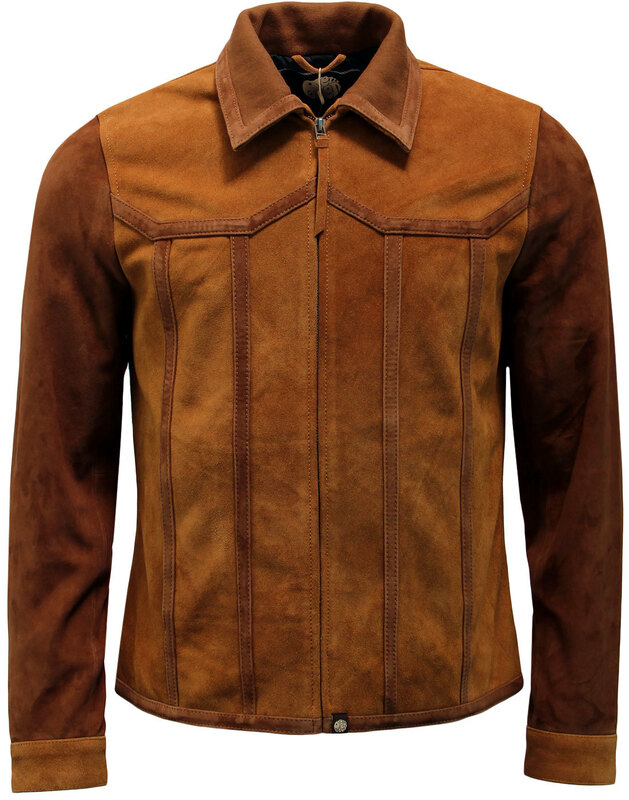 - Pretty Green 'Denescroft' men's retro 70s tan suede Western jacket. - Mod knit point collar with suede tipping. - Concealed zip through fastening. - Retro front and back yoke piping. - Piped pleat details in subtle contrast suede. - Concealed zip side pockets. - Pretty Gren signature snaps to cuffs. - Suede lash tab to zipper. 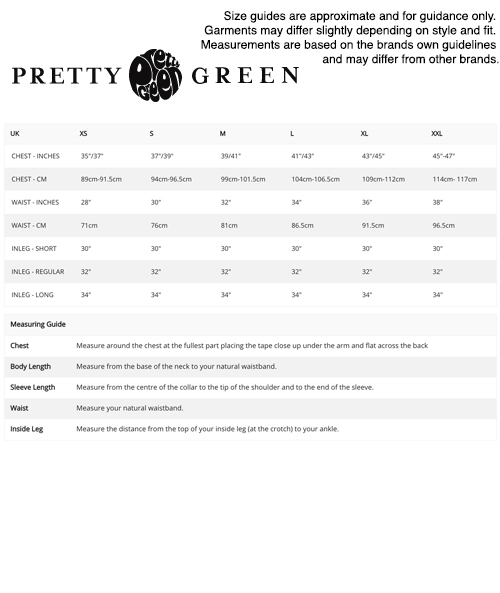 - Pretty Green woven branded tab to hem. - Subtle psychedelic paisley pattern to contrast black lining. 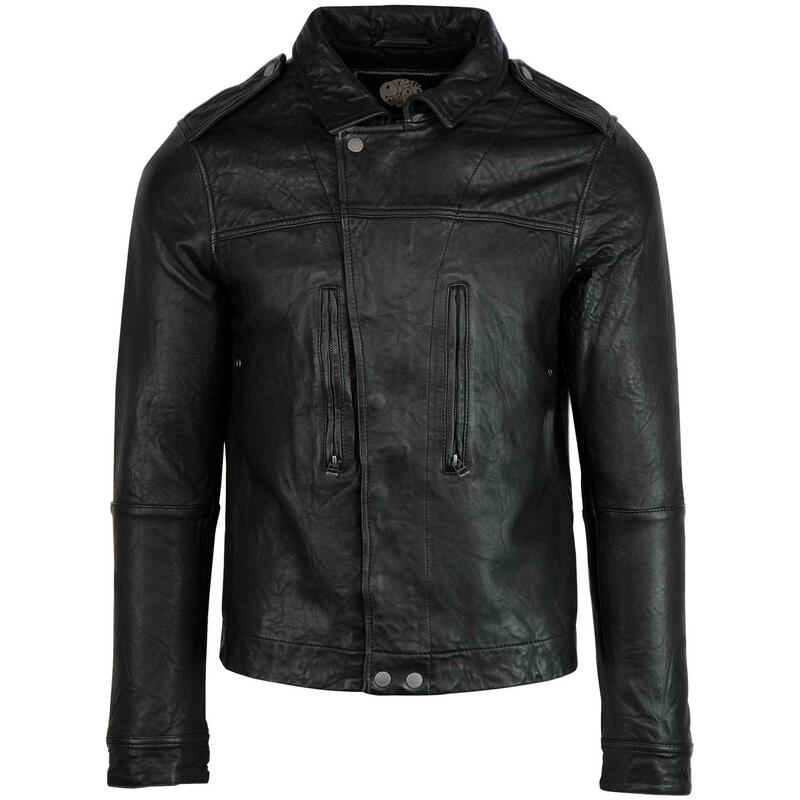 - SKU: A7GMU/1390/9317 Denescroft Jacket. Composition: Shell: 100% suede. Lining: 100% polyester. Rib: 100% cotton. 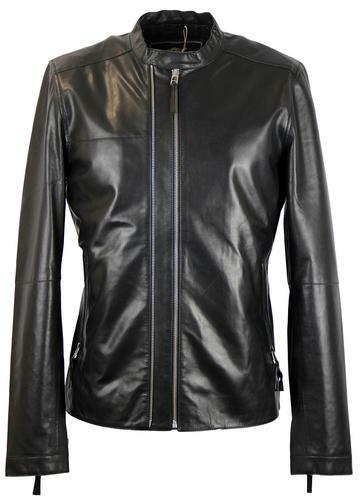 Care: Specialist leather dry clean only. Please refer to garment care label.